Richard Carr is both an innovative and creative property developer with a passion for architecture and design. He is Chief Executive of Fortitudo Property, which has sites across the south coast of the UK and specialises in low cost housing. The company’s latest project is building 31 new starter home apartments in Havant. Work on the brownfield development, a three-storey project, close to shops and schools, starts in Spring 2018. Fortitudo is developing many high-profile projects across southern Britain, with a pipeline of over 500 new homes in many towns, including the £100m regeneration of Salterns Marina in Poole and a 96-home apartment scheme close by. Richard has worked in the property and hospitality industries for over 30 years and uses his expertise and experience to maximise the potential for clients, providing added value. His first foray into the world of property began in 1981 with Richard Carr Property, where a major success saw him buy and sell a disused warehouse in Bournemouth, to a developer for residential use. He repeated this many times, buying strategic properties and using his imagination and planning skills to add value. 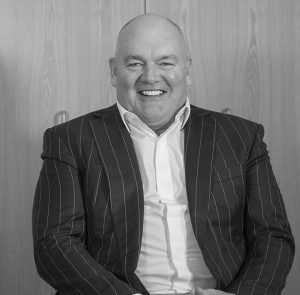 Whilst running his own property business, Richard Carr expanded into the retail sector with Allied Restaurants PLC. Over 10 years he built a business of Counter Service Fast Food Restaurants predominantly in London and the M3 corridor. In 1987 the business was floated on the London Stock Exchange (USM) and was sold for £13m to Grand Metropolitan in 1990. He then renamed the company Allied Leisure and it took a full listing on the London Stock Exchange. Richard became frustrated with the ‘handcuffs’ of running a public company and left Allied Leisure in 1994. By then, he had built the very successful ‘Megabowl’ brand and bought the famous Boscombe Academy in Bournemouth, Dorset. He re-branded it The Opera House and entered the House Music arena with the ‘Slinky’ brand. The Opera House became one of the most successful venues in the country, whilst Slinky became world famous in House Music with events staged around the globe including in Melbourne, Sydney and New York. Richard sold the ‘Slinky’ brand and The Opera House in 2003 and went on to form Future 3000 PLC, opening a number of large capacity bars, becoming again the largest operator in Bournemouth. At this time, Richard also decided that the time had come to start a brand for his property interests where his true passion lies. Ravine Lifestyle quickly became a recognised and an acquisitive vehicle with some spectacular planning results and a development pipeline in excess of £100m at the time of the banking crash in 2008. At Fortitudo, Richard is at his most inspired because he’s developing innovative, creative, progressive and exciting residential and commercial opportunities that people love.